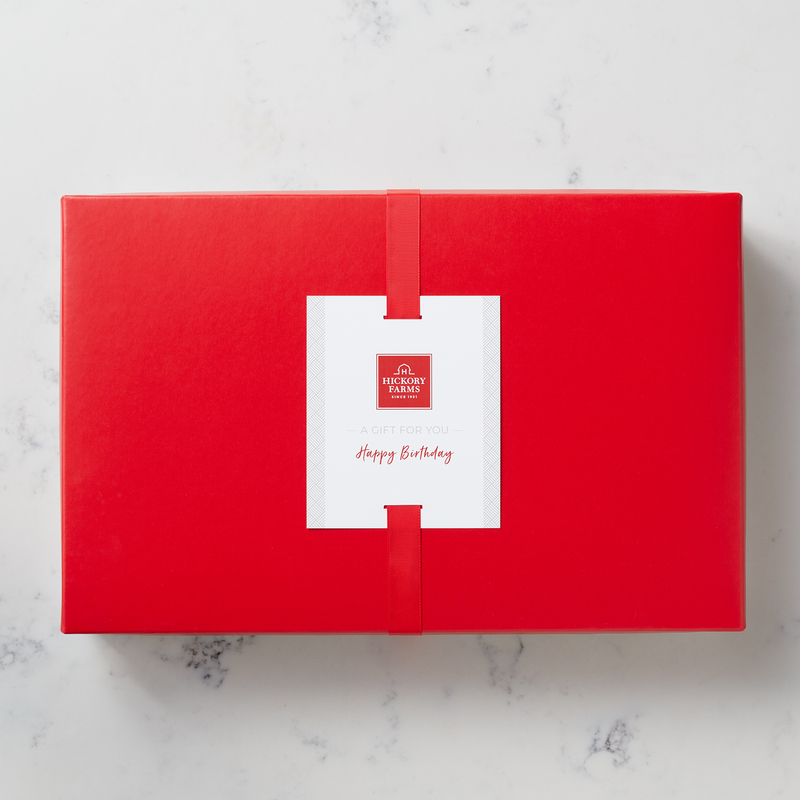 Give a gift that's filled with savory, smoky, smooth flavors that pair perfectly. 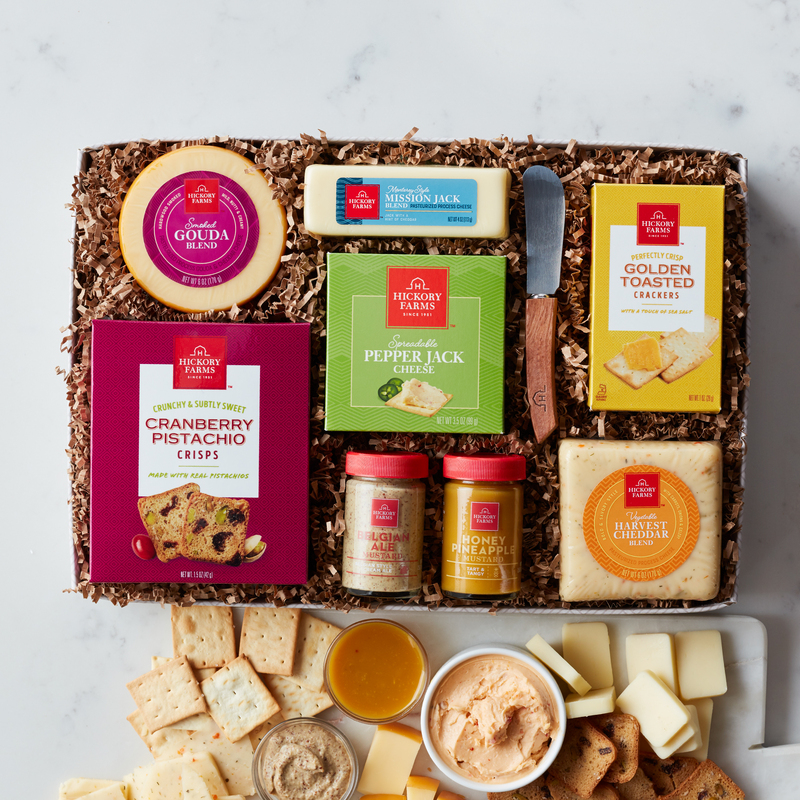 This gift box is a wonderful sampling of our cheeses and mustards. 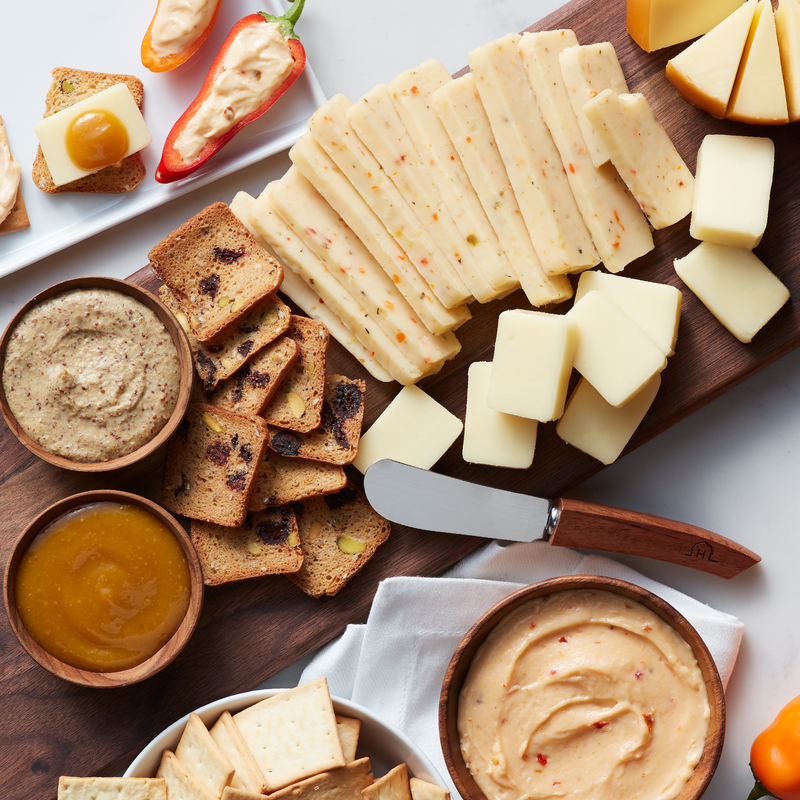 Smoked Gouda Blend, Mission Jack Blend, Harvest Cheddar Blend, Spreadable Pepper Jack Cheese, Honey Pineapple and Belgian Ale Mustards--it will be hard to choose a favorite! Plus, Golden Toasted Crackers and Cranberry Pistachio Crisps for a crunchy bite, and a cheese spreader to make serving and eating effortless.